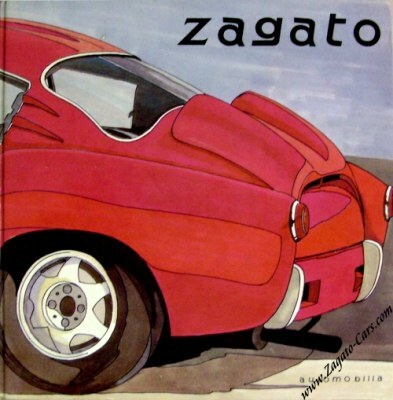 Following is an incomplete list of books dedicated to Zagato. The books are sorted in chronological order. 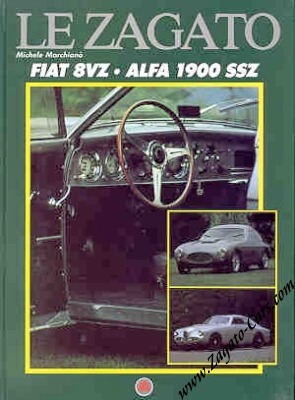 Exceptional magazine on the automotive design destined to complete the library of each car enthusiast. The creative talent of Ercole Spada and the historic coachbuilder Zagato combined in 1965 to produce the Lancia Fulvia Sport, a sleekly aggressive coupe based on the floorpan of the Fulvia Coupe. This charismatic car, manufactured in the mid-Sixties and available with 1200, 1300 and 1600 cc engines, is the subject of this invaluable book that analyzes its development through various versions, to each of which is devoted a specific technical dossier. 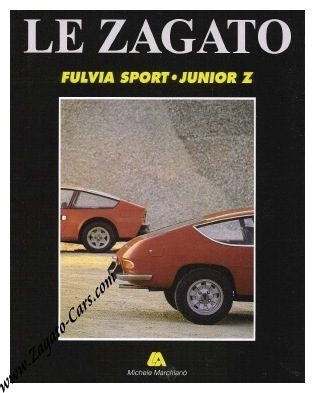 There is of course a section dealing with the Fulvia Sport’s racing career and the book concludes with a chapter on the Alfa Romeo Junior Z (1969), also designed by Ercole Spada and produced in very limited numbers through to 1974. 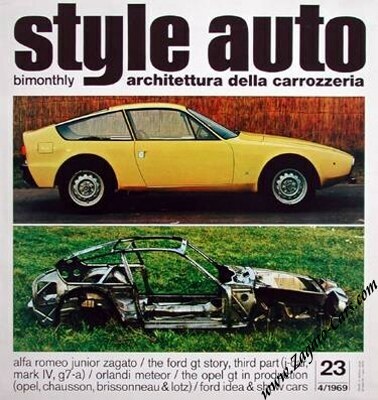 The two volumes cover the entire history of the dynamic Italian designer: from the first decades when Zagato played the role as a coachbuilder of small series of cars up to nowadays. The company has in the meantime diversified and built up a structure dedicated to providing comprehensive styling, engineering and prototyping services, not just to the major automotive manufacturers, but also to a wide variety of other design-oriented sectors. Today Zagato’s portfolio can boast railway transport systems, heavy equipment and agricultural vehicles, car accessories, fashion and industrial design. Avant-garde technology and working methods now consolidate a reputation built on innovative and practical design. Two enthusiasts, both owners of the Fulvia Zagato and Competizione versions of the breed, have reconstructed the story of these special cars, outlining the events, the races, the racing successes and their final destiny. This book is rich in technical information and construction details, includes interviews with the drivers and, above all, the people that made up Squadra Corse Lancia. Zagato name evokes innovating cars and sporting success. 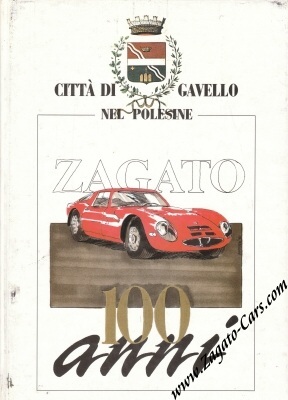 Elio Zagato, the promoter’s son, was also a talented “gentleman driver” committed with very good results in the most significant races of his time. In the book he writes about his personal life and his racing career through interesting and sometime amusing anecdotes. A very peculiar and vivid approach to history enriched by a great amount of photos belonging to the author, many of them unpublished. 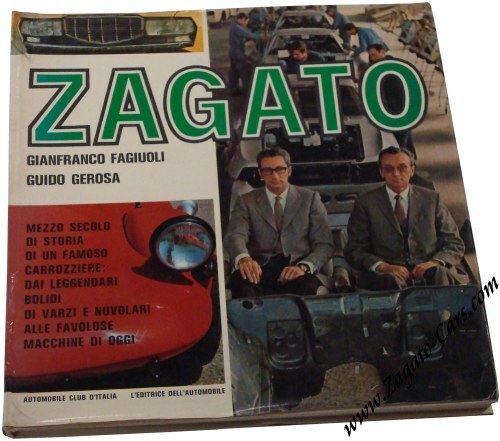 Thanks to a detailed research through archival photos, newspapers, magazines and few books, here is the complete history of the Lancia Appia Zagato model. 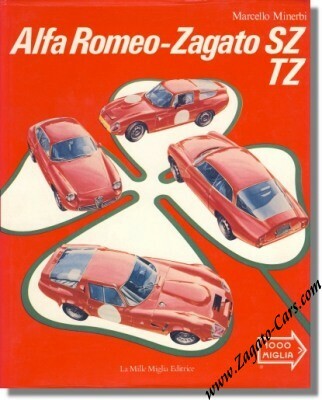 Included are technical specifications and the racing versions. 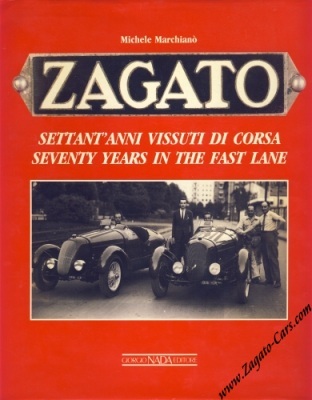 1919 was the year in which Ferrari began driving racing cars and Zagato founded his couchworks, and from that moment their paths were to cross on several occasions. 2005 Reprint of 1500 copies. 2005 Reprint of 500 pcs.